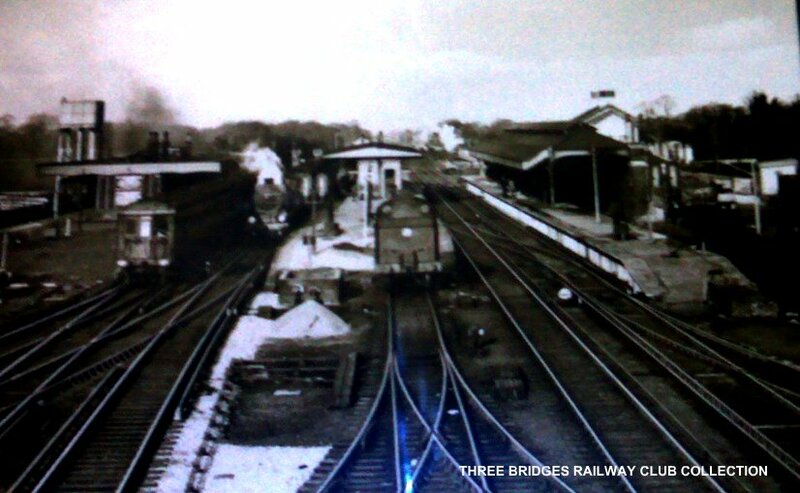 Tom Rooke began his railway career at Three Bridges M.P.D. 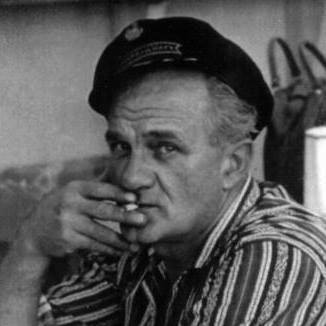 in 1949 and remained there for most of his life, retiring in the 1990s due to ill health. A likeable character, it was not unusual to hear him relating his latest experience in the mess room, his tales resulting in peals of laughter. He never had any formal training as an engineer but had a remarkable gift for building model steam locos from scratch. He loved motorcycles, bringing numerous old crocks back to working order, and he once rebuilt an Austin 7 sports car. His later life passion was clocks, again built from scratch in his tiny workshop. Tom came from a large family and had a son and five daughters of his own, an immense source of pride to him and his wife June. He will be missed, but the love he gave will remain for all time. 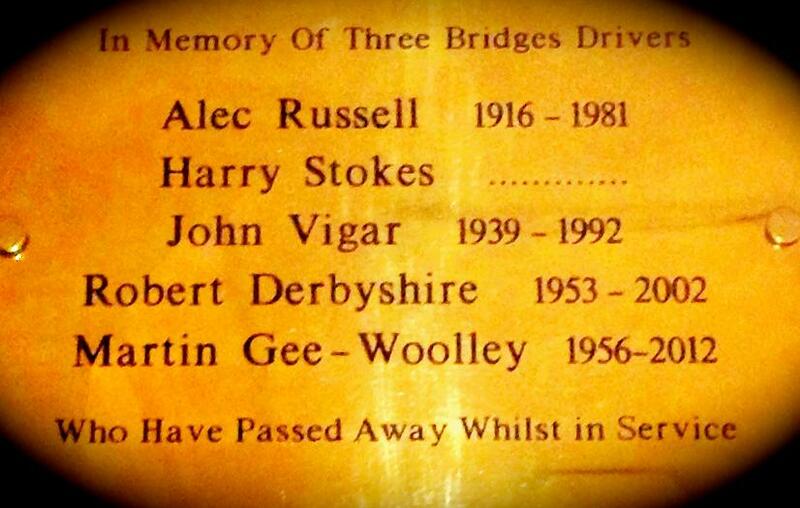 It is my sad duty to report the passing of my father, retired Three Bridges and Redhill driver Ernest White at the grand age of 97. Known to all as Ernie, he started cleaning at his home shed of Dorchester in 1937, and after being stood off the first winter was called back. After a spell cleaning at Bournemouth dad transferred to Three Bridges as a fireman in 1941 where he progressed rapidly, for the time, to driver. Staying there until 1958 he moved to Redhill where we lived. Ernie retired in 1985. 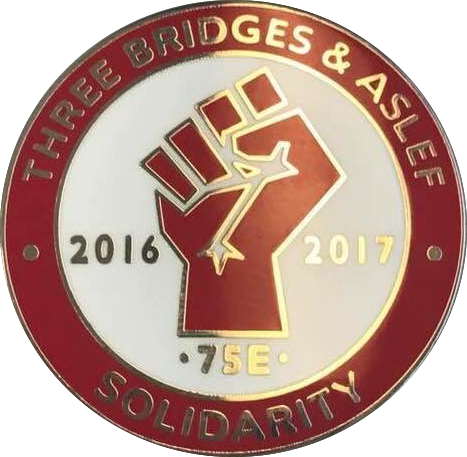 In response to the letter from Adam Thompson (Journal, April) I am also a new A.S.L.E.F. member. I’m not sure whether his letter was satirical or genuine but am making the assumption it was the latter. If he is, as is suggested, a supporter of the President of the United States I am unsurprised that he wishes to quash any dissenting voices. His presumption of Eric Stuart’s ignorance is typical of the right-wing ‘I know best and everyone else should think what I think’ attitude that seems to prevail in society at the present time. because counter to his own views. His own ignorance shows through with his statement ‘President Trump loves the UK.’Trump does not love anything other than increasing his own personal wealth, irrespective of those affected by his actions. He is anti-free speech (his staff bar reporters employed by organisations that disagree with him from press conferences) and makes knee-jerk allegations without supporting evidence (about G.C.H.Q.). A.S.L.E.F. is a proud, historic trade union run on a democratic basis, and the Journal is a democratic mouthpiece. I would not wish to silence Brother Thompson’s views but attempt to persuade him that Donald Trump is in no way a friend of an enlightened, civilised society (although he may be a friend of the U.K. in the current political climate in this country!) but an arrogant, self-serving, misogynist bully. 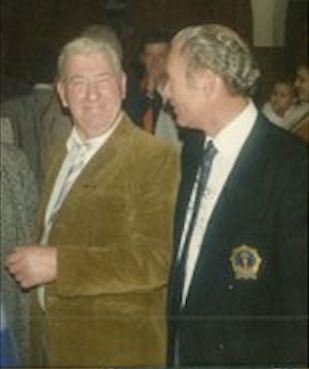 It is with sadness that I report the death of retired driver David Shopland at the age of 87. 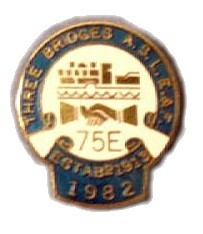 His railway career began and ended at Three Bridges and he served as L.D.C. 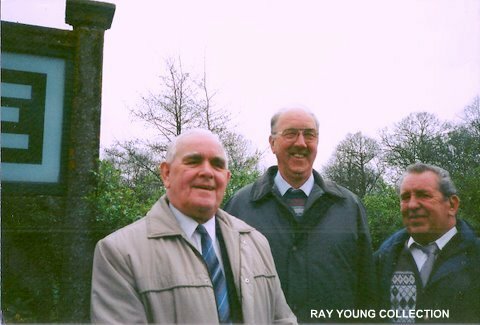 Secretary, Branch Secretary, and Branch Chair during his 50 years of loyal service to our Society. 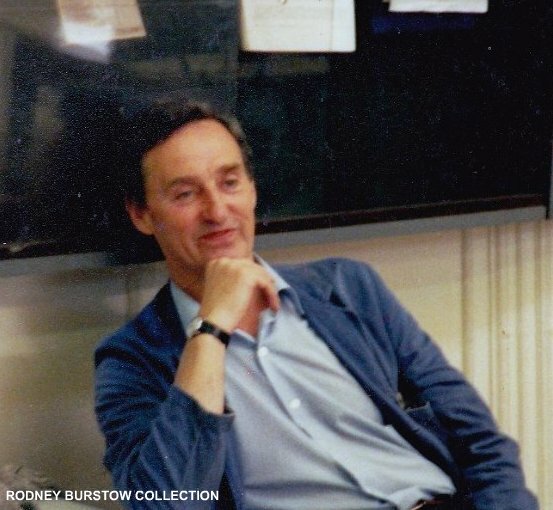 His only absence was for military service; he served in Northern Ireland and Libya as a member of the Royal Electrical and Mechanical Engineers, a period he enjoyed as it allowed him to increase his knowledge of the internal combustion engine. As a lad he won a scholarship to Collier’s Grammar School in Horsham, necessitating a 14 mile bicycle ride. When not at school he worked with his father on the farm, and that is how his passion for steam power and mechanical things began. 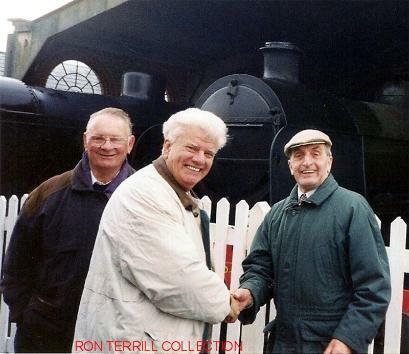 Traction engines, steam thrashers, and Fordson tractors all became his play things, leading him to his railway career. He also purchased a motorcycle and rode daily up to his retirement. David had a comprehensive knowledge of the countryside, Sussex in particular, and a day out in his company was always an entertaining adventure. He was a big man in stature and in character. His whole outlook reflected this, his integrity was massive, his permanent smile was known by the numerous friends and acquaintances he had, not only among the railway fraternity but from all walks of life. A great chasm has been left by his passing that will never, in a lifetime, be filled. Our thoughts and sympathy are with his devoted family. Unknown (5) & Unknown (6). 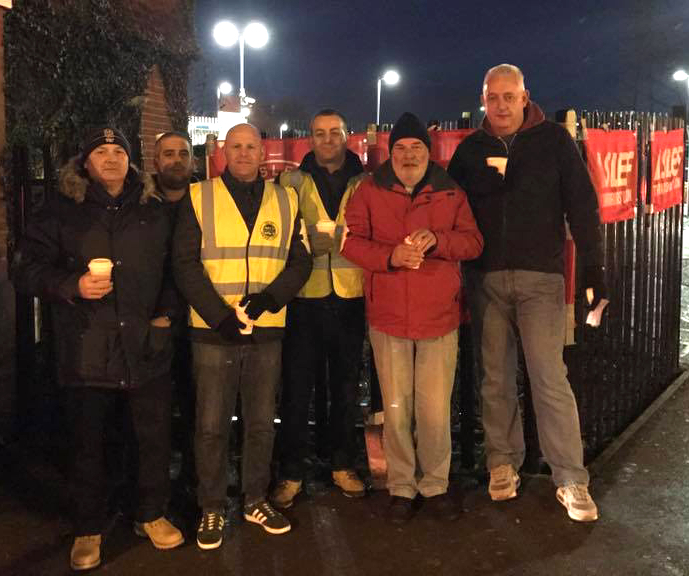 Three Bridges day 6 picket line, solidarity to all including local Labour councillors and members, along with fellow ASLEF members from Portsmouth, Sheffield, Isle of Wight and St Pancras branches. Three Bridges wishes all the best in retirement to Steve White and Dave Kington. 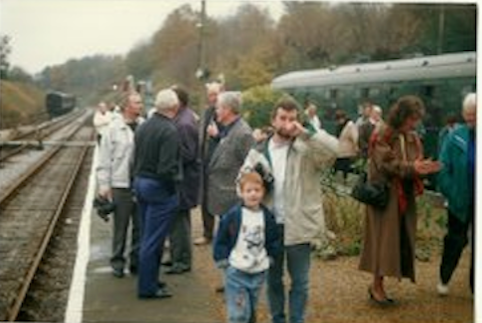 Steve has been a loyal member for over 40 years, starting on the railway in 1974 at redhill (where his dad was a steam driver) as a traction trainee. 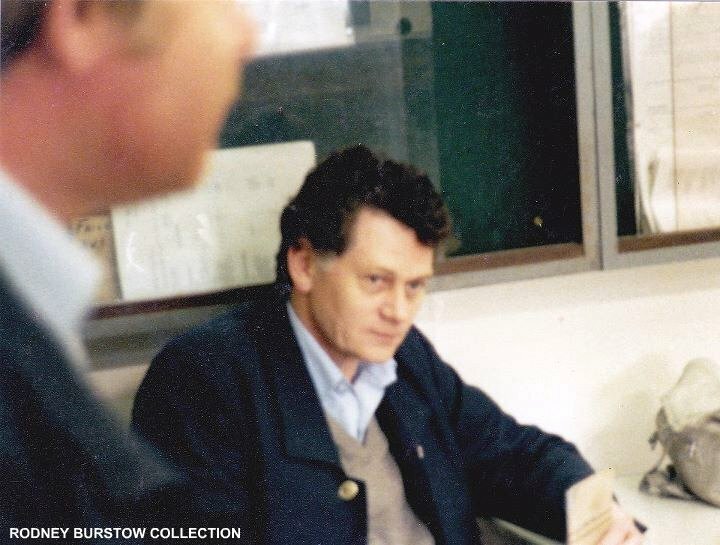 Steve, a great character, moved to Three Bridges in 1998. Dave, who started here, has been a member for over 15 years and is moving to pastures new by emigrating to australia. Presentations were made at our meeting, attended by many friends from the railway, and we would like to wish them both all the best in the future. What do you know about the transatlantic trade & investment Partnership? not a lot? Well, here’s a crash course to bring you up to speed. We need to be concerned because this is one of the most dangerous, and invidious, trade deals ever done. T.T.I.P. is a proposed free trade agreement between the European union and the united states of America which would hand enormous powers over to big business, threatening public services, workers’ rights, food safety and the environment. it is a direct attack on our democracy. But all our political parties, except the greens, support this agreement on the grounds that it will ‘make us better off’. The Labour Party backs the idea, but not the right of companies to sue governments, and the Liberal Democrats are adopting the same stance. But the hypocritical Conservative Party, which wants to repatriate laws from the E.U., including those that gave us the working time directive, paid holidays, and the right to sickness leave not counted as holiday, is prepared to enter into an agreement being negotiated in secret by the very bureaucrats they like to criticise on a daily basis. This trade agreement, if it goes through as drafted, will give multi-national companies based in offshore tax havens and us corporations the right to sue democratically-elected governments which pass laws which, they think, will affect their profits or shareholders. And such claims will, shamefully, be heard in a secret court with no right of appeal. What price democracy? The # no T.T.I.P. Times reports that Slovakia was forced to pay €22 million to the insurer Achmea when it tried to introduce public health insurance. Egypt is being sued by Veolia for $80 million for raising the minimum wage. Argentina has coughed up more than $1 billion after being sued by water and electricity companies (including E.D.F.) for freezing utility prices. Australia is being sued by Philip Morris for protecting public health by introducing plain cigarette packets and the tobacco giant has threatened to sue the U.K. government if it follows suit. And Canada is being sued for $500 million by the us drug company Eli Lilly because it refused a patent on one of the firm’s drugs (it doesn’t do what the company claims) and is, consequently, ‘depriving us of expected future profits.’ It’s outrageous! And it means we would be unable to bring industries, like the utility companies, and our own railway industry, back into public ownership as the companies that own or operate these industries would be off to the secret court to stop it. The Council of Europe would give big business, and their oily lobbyists in Brussels, the right to be involved in the law-making process long before any public democratic debate takes place. Food safety, consumer protection, the environment and many other areas would be jeopardised because ‘free trade’ and the right of capitalist companies ‘red in tooth and claw’ to ride roughshod over regulations to protect people would take precedence. Trip would entrench in law privatisation – allowing a few to exploit for private profit what should belong to us all – and the capitalist model of running an economy which has failed most of the people of this world. Medicines will become much dearer as companies act to prevent inexpensive generic treatments being produced and brought to market. Data exclusivity will mean that clinical trial data can only be used by the company that paid for the trial. A similar rule forced the Jordanian government to spend an additional $22 million on brand name drugs between 2002 and 2006. T.T.I.P. will also allow the big pharmaceutical companies to sue countries that use their legal right to access generic medicines in a health emergency. Countries around the world are already facing lawsuits for implementing proper public health policies from multinationals more interested in making money than saving people’s lives. The safety standards on which we rely for everything we buy will be put at risk by T.T.I.P. as will the energy and climate policies needed to save our planet. Ditto the new financial regulations designed to prevent banks from gambling with our money and creating another global economic crisis. The world’s biggest industrial conglomerates, agribusinesses and financial service providers want to rewrite these safeguards and enshrine ‘corporate rights’ behind closed doors. so if genetically modified frankenstein food doesn’t make it through formal negotiations, ‘regulatory co-operation’ will give agribusiness a permanent mechanism for promoting these dangerous products. Please contact your M.P. and M.E.P. and make your views known, as if this goes ahead, as currently drafted, we might as well not bother electing any representatives ever again. I would like to thank Graham Morris and Southern DFC for all their help in getting my job back. 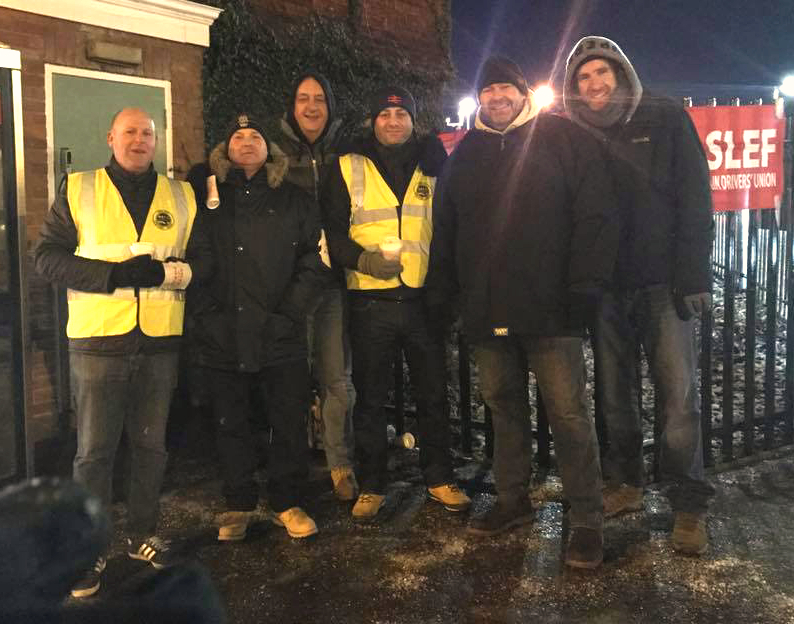 I would also like to say a massive thank you to all the depots that also voted for action in support of me; I was deeply touched. And a massive thanks to all my friends and colleagues for your support, without which I don’t think I would have got through this horrible period in my life. My brave daughter Eleanor contracted meningitis when she was eight, which led to complications, including endocarditis, which severely damaged her heart. After six cardio bypass operations she needed a heart transplant. We were very fortunate that she received a new heart but she had complications and we nearly lost her on several occasions. I had trouble sleeping and my health deteriorated as a consequence. I was then given 12 weeks’ notice. 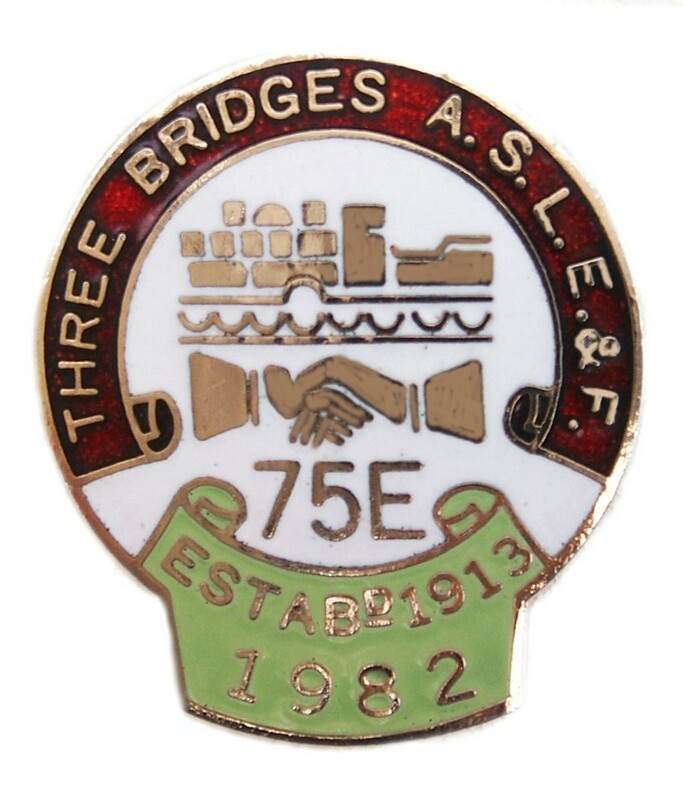 But, thanks to ASLEF, and the support of my colleagues, I am now back driving, with my health issues behind me, and looking forward to extending my 27 years of service. A big thank you to you all. Ian Hunt’s pre-wedding celebrations were full of fancy dress and tomfoolery. Ian turned up as southern trains’ loco Toledo and, with 14 chums, including nine other southern staff, jetted off to Madrid for a weekend stag party which included a trip to the Bernabéu stadium to watch Real Madrid. Thankfully, Ian returned in one piece, and is now happily married to Laura. Congratulations to the happy couple from all his friends and colleagues at Southern trains. I have no admiration for Margaret Thatcher and respectfully suggest to Reginald Sargeant (Letters, July Journal) that before he sings her praises he carries out a little research into her administration. The Falklands War came about due to the policies of the British government. Thatcher was in danger of being ousted as Prime Minister and the Argentine junta invading a virtually undefended island gave her the chance to restore her popularity. That many people would lose their lives fighting this war had no bearing on her decision. Her only concern was retaining political power, conveniently forgetting that her administration had caused the crisis in the first place. If Reginald Sargeant took the trouble to read My Falkland Days by Sir Rex Hunt he might agree this was not a justifiable war, as he suggests, but megalomania. It is with great sadness that I have to report the passing of Bro Martin Gee-Woolley after a comparatively short illness. 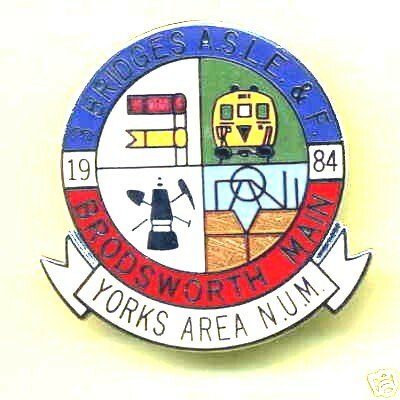 Martin started on the railway as a guard at Three Bridges depot in 1982. 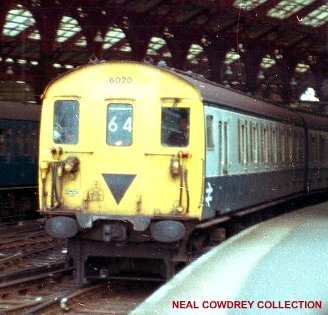 After a brief stint at Redhill he transferred to Norwood Loco as a driver in 1989. 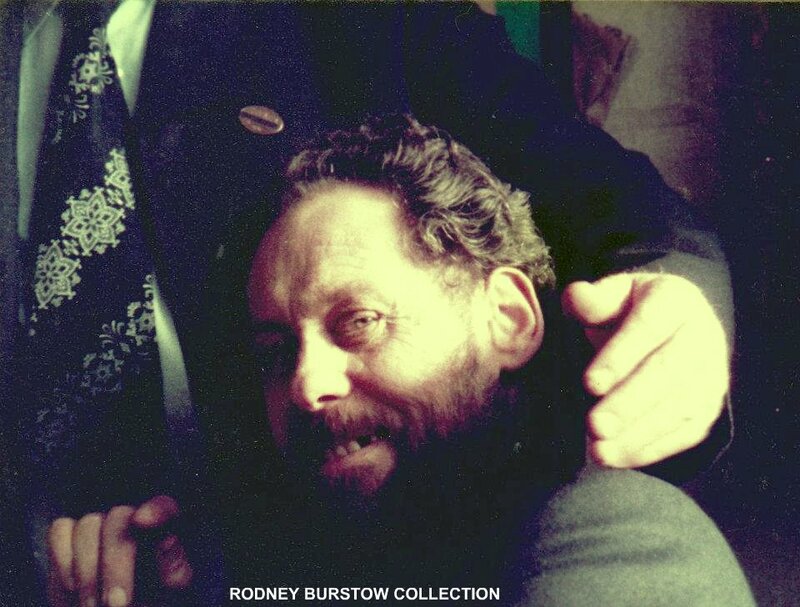 Martin then returned to Three Bridges in 1993 where he remained until his untimely death in June, aged just 56. Martin was a larger than life character who always had a smile on his face. 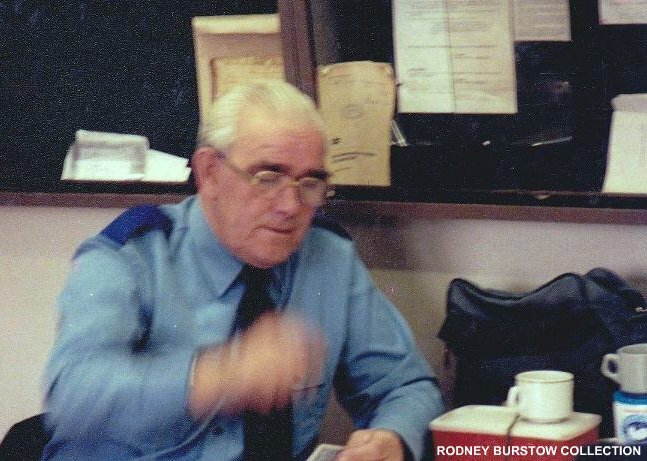 He served on the LDC for a number of years and was always happy to offer advice and support. His funeral was very well attended by members past and present, such was his popularity. Our thoughts and prayers are with his wife Stephanie, daughter Rachel and son Harry. R.I.P Martin, it was a pleasure to have known you. You will be greatly missed by all of us here at Three Bridges depot. As a new TOC entrant (I have 15 years’ service) I am extremely disappointed that the staff travel campaign appears to have been put on the back burner. I am now finding it increasingly difficult to justify my continuing membership of the union. The contributions saved could go towards my train travel costs particularly in retirement, as I will not retain any travel facilities, unlike our European rail colleagues who continue to enjoy travel concessions on our national rail network after only 11 years’ service. individual is actually changing his or her contract of employment - with no guarantee that this can reversed should circumstance return to normal. Also, it is not a right. The company can – and do - refuse requests. But what really disappointed me was the isolationism that Mick’s letter shows. The ‘flexible working’ legislation was introduced by the last Labour government in an attempt to offer some improvement to the lot of workers who found themselves in especially trying circumstances. So while it may rancour some in our industry, we also need to look at the bigger picture and think of the benefits to other people in different industries who don’t have our industrial muscle. The employers have been complaining about legislation like this, and the rest of the raft of ‘family friendly’ and health and safety legislation that Labour introduced. It is exactly what this government is setting about trying to dismantle. 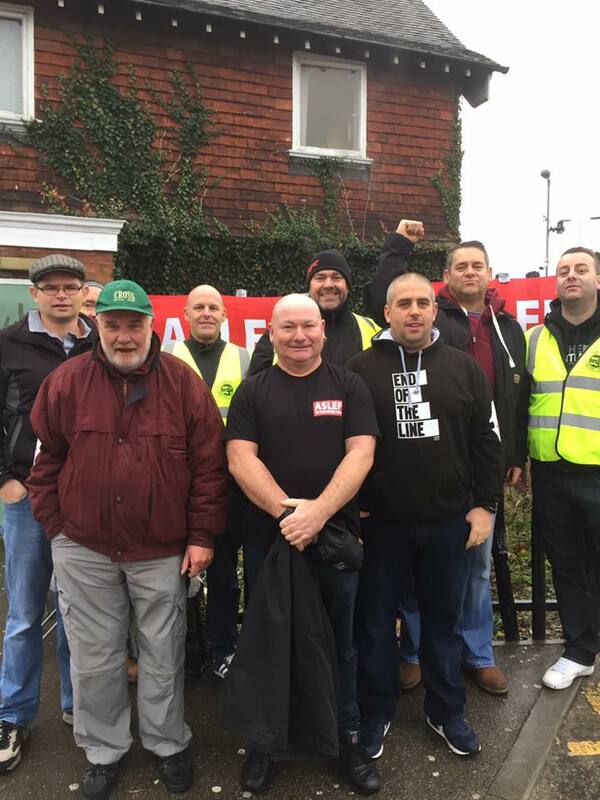 So, far from saying, ‘We don’t need this sort of agreement on the railway’, we should be out there campaigning along with our brothers and sisters from other industries to ensure that legislation to protect workers and their families is not repealed in favour of the bosses. YOU may have read recently the short Journal article about compensation for retired member K.L. Chapman. Sadly Ken has now succumbed to his illness. 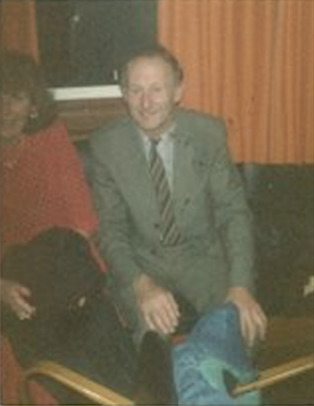 Ken began his service at Redhill M.P.D. transferring to Three Bridges as a Fireman, before becoming a Driver at Caterham E.M.U.T. He spent the whole of his driving career at Caterham, and retired there in 1999. 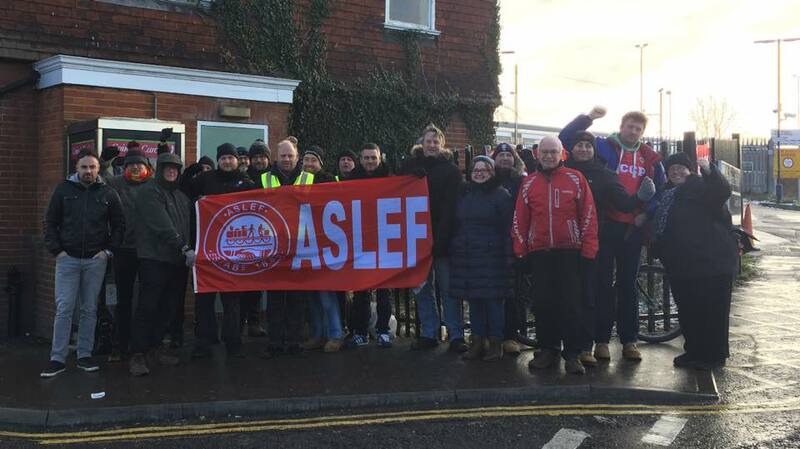 Ken was not an active branch member but always gave his support to ASLEF on the many issues that required action from the rank and file membership. He was his own man, but was always willing to assist anyone who asked for help. 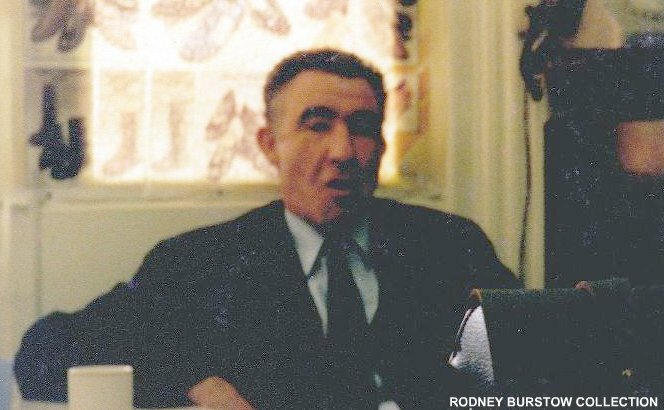 In the last few weeks of his life, as the cancer became intolerable, he was nursed at the Marie Curie Cancer Care Home in Caterham. As hard as he had tried to remain independent his strength failed him and the pain he was in caused him to seek the help of others. Our thanks go to all the staff of Marie Curie for the comfort and support given so freely. 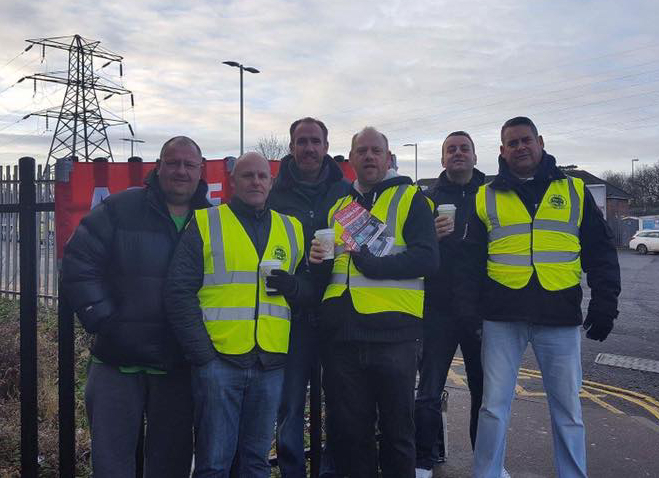 I WRITE in reply to Brother Steve Hill from Newton Heath branch. It is saddening to see such requests being made in the Locomotive Journal as the country enters recession. I have been on the footplate for 34 years and, although I’ve lived and worked through many recessions, I’ve not worked a rest day for 11 years. Not once have I been threatened with redundancy, a shorter working week or a wage cut - but I know of many outside our industry who have. So surely we should be grateful for the security the railway gives us. 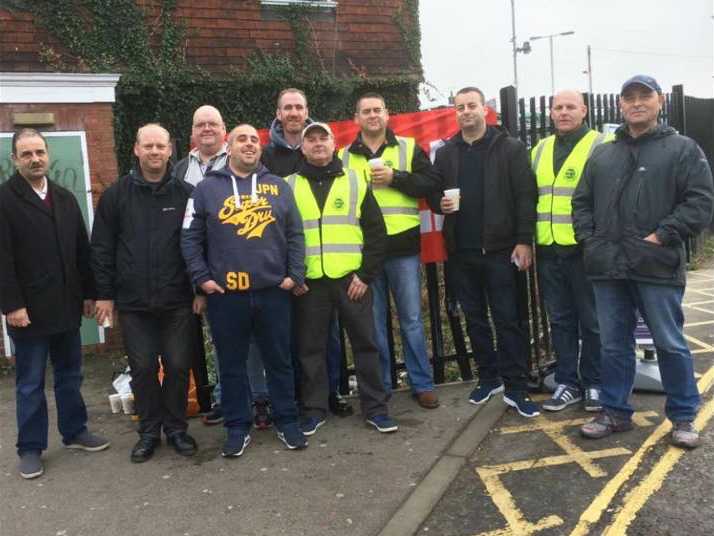 Perhaps instead of asking, ‘When are we going to get our overtime back?’, we should be saying to the companies, ‘You don’t have enough drivers - so you’d better start employing more.’ That way some of those poor people (which could include our own colleagues in the freight sector who are losing their jobs and houses) will be given the same opportunity as we have had. 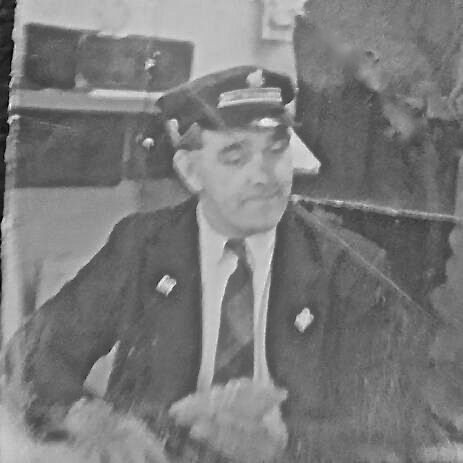 Ian McQueen entered the footplate grade at St Margaret's loco Edingburgh, with the closure of St. Margaret's in 1968, Ian transferred to Three Bridges and later transferred on to Brighton E.M.U.T. In December 1983 Ian did a mutual change of depots with Alan Daniels, and transferred from Brighton E.M.U.T. to Three Bridges. 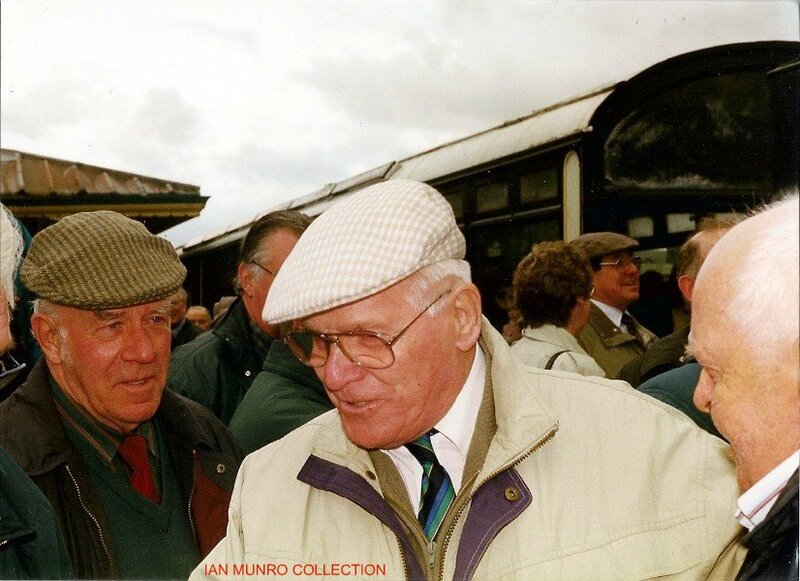 In 1989 Ian moved back to Scotland to Haywmarket depot where he stayed until is retirement. 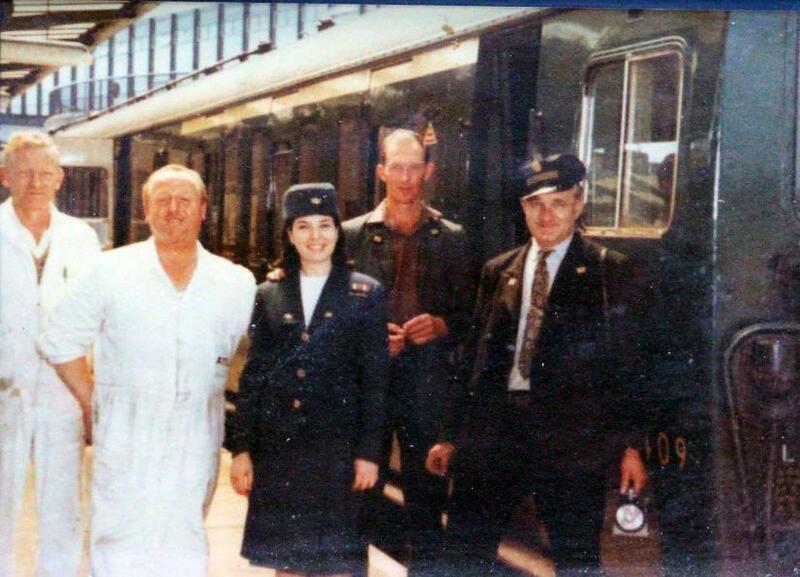 Peter Walls at Gatwick late 60's with Air France Hostess and colleagues. You can still just make out the old airport approach road top left of pic. Dads carrying standard issue lamp which he kept in pristine condition and i still have. Plus satchel and cap both of which again i still have. You would never catch my dad without a tie or unpolished shoes at work plus he carry the standard issue brown BR notebook and pencil. 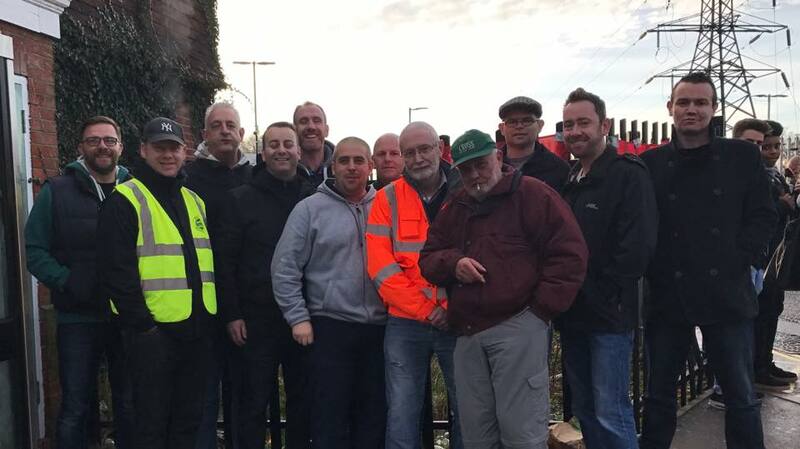 The Chairman welcomed those present at the Special Branch meeting on 2 February and asked E.C. member Bro. John Davies to give an up-to-date report on the Restructuring talks. We were left in doubt as to his position and that of his fellow E.C. 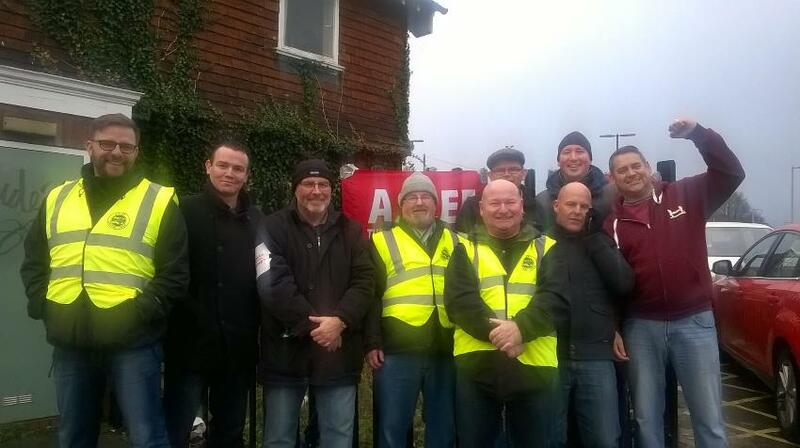 members and our General Secretary. There is absolutely nothing in D.R.I. document sent out to all driver in January that is acceptable to the union. John made this very clear - absolutely nothing. What the General Secretary has asked for now is a balance sheet from B.R.B. showing the actual savings that will be made if we agreed to these proposed changes to our conditions of services. This is a vital prerequisite before any constructive headway can be made in future discussions. 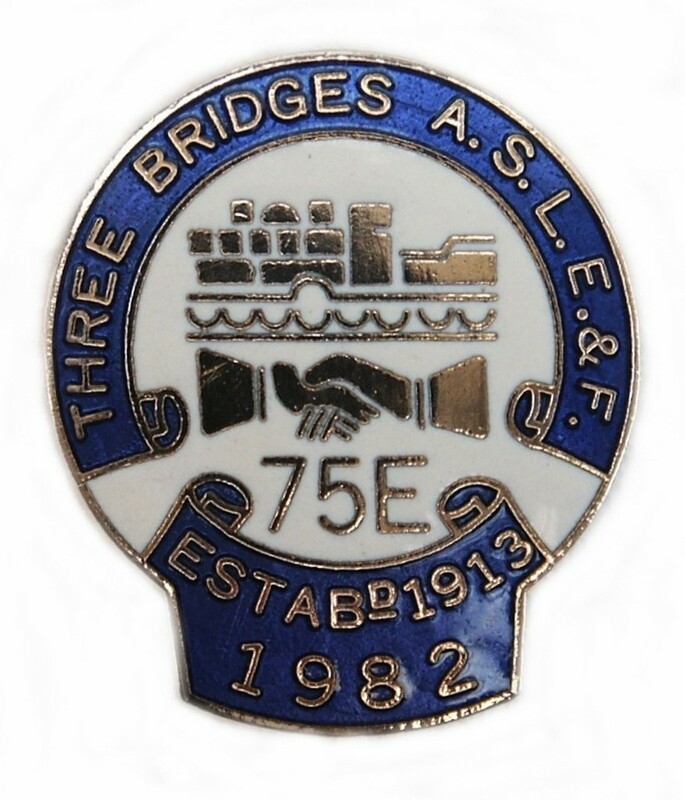 John stated that the £22,000 asked for by A.S.L.E.F. included outstanding monies from previous agreements, like Driver-only, Easement of Manning and Traincrew Concept. It was also brought to our attention that a leaked document from B.R.B. included a hidden “shopping list” of further productivity items they are looking for from drivers. There was a feeling, said John, that this D.R.I. document may be a ploy to provoke us into industrial action; or it was designed to stall real negotiations until after the General Election now that privatisation is firmly on the political agenda. Great concern was shown on what could happen to the B.R.B. pension fund if the railways were privatise. How would the pension fund work and more importably, how would it continue to meet its outgoings to retired members? The possibility of new companies setting up their own pension funds or taking part of the current B.R.B. pension fund with any current employees they may engage? Private pensions for individual employees is also a possibility that may come about of concern to us all, and make the B.R.B. promises a little hollow in this present political climate. We were reassured that there would be no possibility of this or any similar unrealistic offer being put to a ballot. Also, at this stage, there appeared to be no question of this sort of document being imposed on us by the B.R.B. On the question of our future and privatisation John was unable to answer questions any more than anyone else. It all depends on the next Government we get and that is why it is vital to support the Labour Party at the coming election and to get rid of the Tories from power. The meeting then passed the following resolution: “That this Branch wishes to thank Bro. J. Davies, our E.C. member, for his attendance here this morning. Also through him we wish to thank the other E.C. 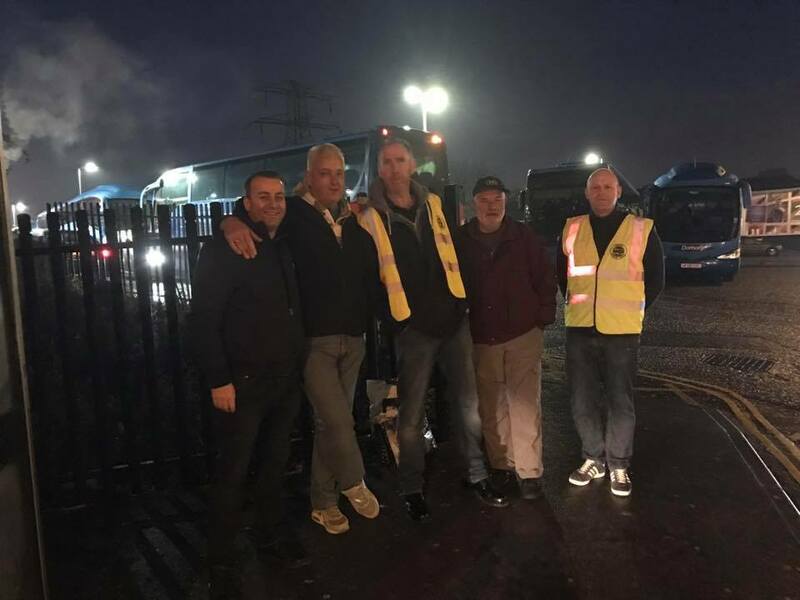 members and General Secretary who have recently been in negotiations with management over Driver Restructuring proposals. Through them, we would like to forward our thanks to Mr. M. Tham, the B.R.B Project Manager, who forwarded to us the D.R.I, booklet, which has affectionately been nicknamed ‘Mr. T’s little Green Book’. This booklet containing Mr. Tham’s proposals, has given us all great entertainment value since receiving it through our letter boxes in early January. “Sadly though, this meeting feels it can express the feelings of the overwhelming majority of drivers on the South Central Sector of N.S.E. when we state that the £13,300 offer made by the B.R.B. in conjunction with D.R.I. proposals is so unrealistic, it cannot be taken seriously. "To be honest we see it as a joke. It’s a farce, it is comical and simply ridiculous. On a more serous level it is extremely insulting to a hard working and highly productive group of people who are quite prepared to negotiate seriously if the price is right. 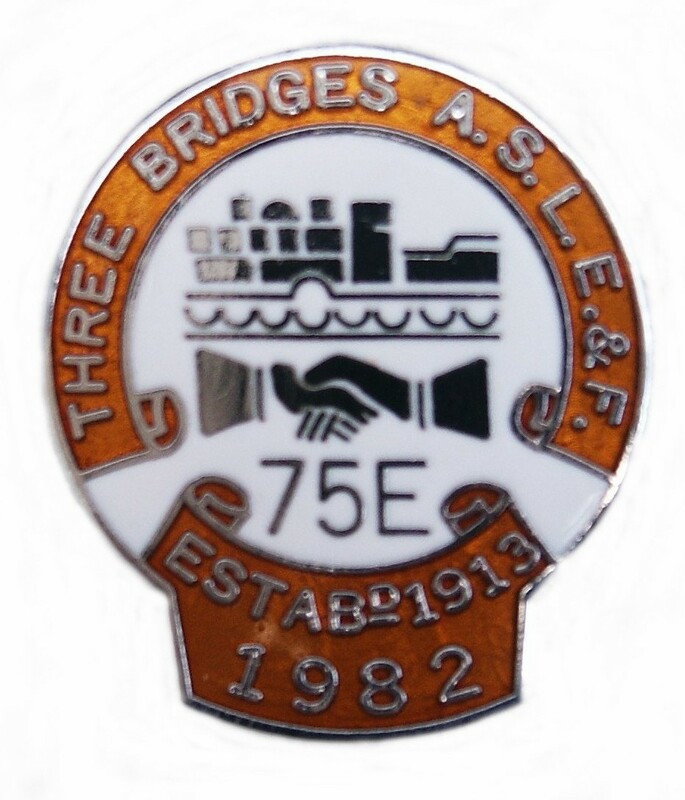 “Therefore as drivers and members of A.S.L.E.F. on the South Central Sector of N.S.E., we instruct our negotiating team to continue negotiations with the B.R.B. Like most drivers who have read the management’s D.R.I. proposals, I feel totally disgusted that we should have been insulted in this way, but I would like to draw attention to B.R.B.’s only real selling point on D.R.I. -that is pensions. Firstly, the levels of proposed pension increases are peanuts compared to the proposed levels of productivity increase being asked to finance them. But, on a more serious level, what happens to these proposed increases (as well as our ability to maintain our current level of B.R. pensions) should the railways be privatised. After all, pension money and its possible transfer to new financial institutions and external non-railway private pensions is one of the big selling points for privatisation. What would be the situation if newly denationalised B.R. 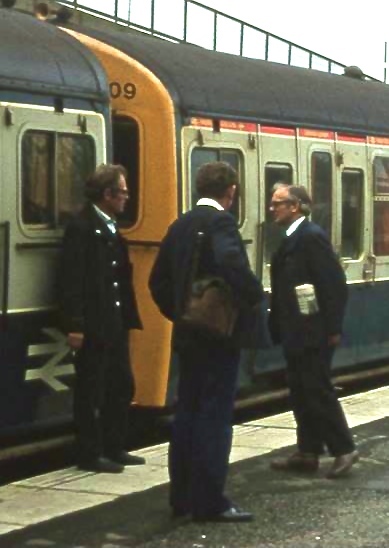 staff, now working for one of the new private sector companies - be it Railfrieght, Network SouthEast, Regional Railways or InterCity - decide, as individuals or a group, and proceed to “do a Maxwell” and transfer their current funds and contributions to one of the many private pension schemes? After all, non-railway institutions will simply be queuing up with new financial offers and incentives to get their hands on the thousands of newly de-nationalised staff now working for the private companies. At this stage, what happens to the old B.R. Pension Fund, the long-term promises contained in D.R.I., and pensions in general for ex-B.R. staff? Management should clarify the position of the B.R. Pension Fund now, in relation to future privatisation, rather than make vague and questionable promises that may never exist. 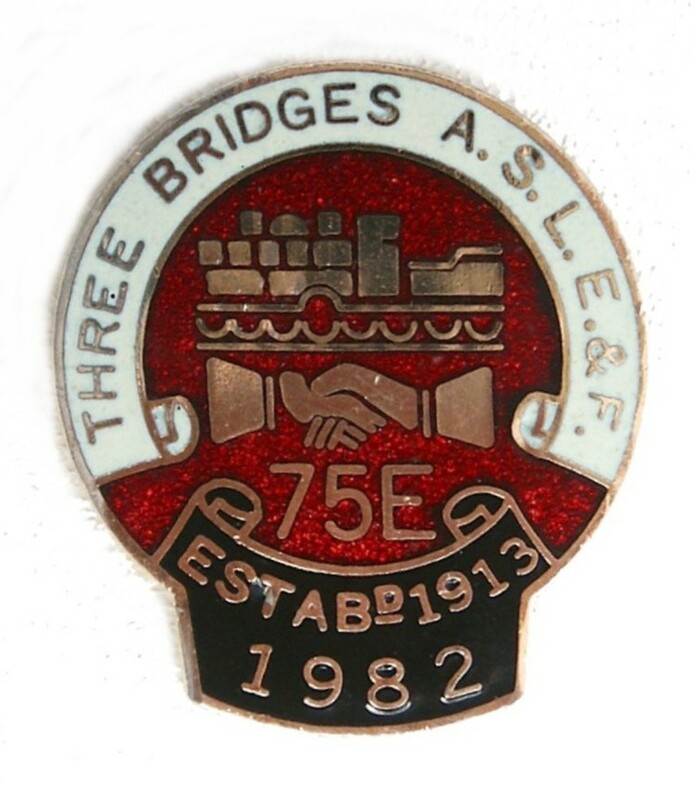 Derek designed various Three Bridges strike badges to commemorated the 1982 A.S.L.E.F. strike (below). 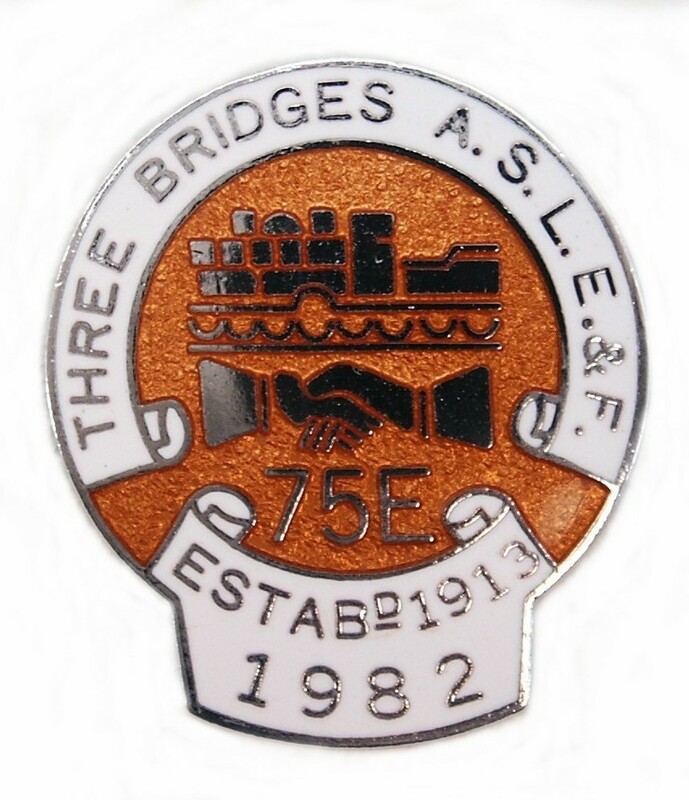 Derek also produced a number of Three Bridges A.S.L.E.F. 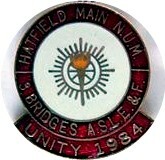 Branch badges supporting various N.U.M. 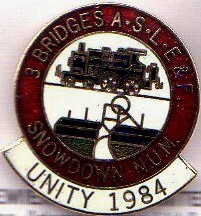 branches during the 1984/85 miners strike. 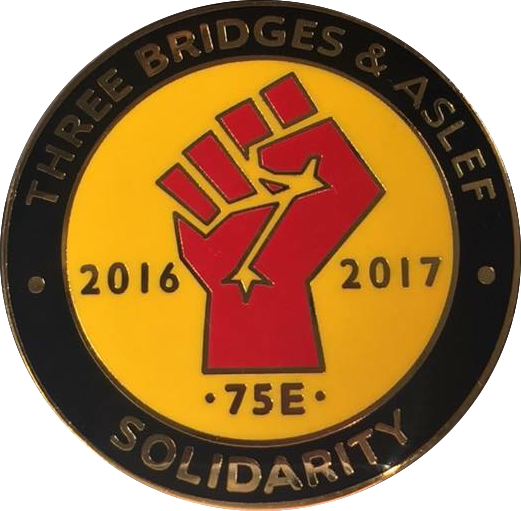 The money raised from the selling of these badges went to help support the striking miners and their families (below). 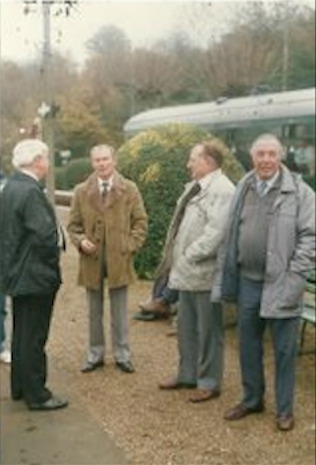 Left ~ Right: Neil Anderson, David Shopland, Arthur Godden, Roy Luxford, Les Wilson and with his back towards camera, and Don Barratt (?) is half hidden.